People buy from people. It’s that simple. While, certainly, a great product or service can sell itself, when it comes to maximizing revenue potential, there is nothing like a charismatic and professional retail sales team to get the job done. The right retail sales representatives will drive revenue for your business, while simultaneously providing a positive, friendly, and personalized experience to the store’s customers. Brick-and-mortar retailers, who face the ongoing challenge and expense of getting people in the door, must be able to trust that their customers will be positively impacted by the presence of a sales team. The right outsourced partner not only understands this, but actively participates in ensuring that every person who enters the retail store has a positive shopping experience that makes them want to come back. Yes! Great. Does the sales team possess the right skill set? It’s no easy task to convince someone shopping for the perfect new dog toy to stop and chat about an unrelated product – but the right sales team won’t bat an eye at the challenge. As customers pass by, friendly retail sales representatives should be able to initiate conversation, quickly and effectively, and help the customer switch gears. They should ask the right questions, present customized solutions, address any concerns, and be able to sign sales agreements on the spot. Nice! Will the sales team capitalize on opportunity? There are two things we know about customers who enter a retail store: (1) That they have chosen to shop in person, rather than online; and (2) that they are in a buying mood. Otherwise, people would choose to stay at home or simply shop online. 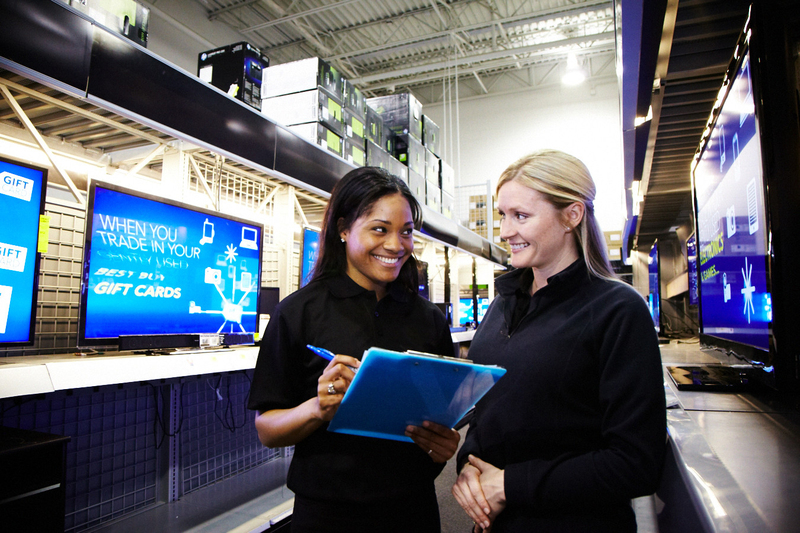 The right retail sales team recognizes these facts as huge opportunities. They know how to make great first impressions and provide the human connection that many people seek when they leave their homes to go shopping. They are able to present a product or service in a personalized way and ensure that an interested party makes an informed decision to buy. Great! Will the sales team protect the image of both brands? The retail environment is especially delicate because outsourced salespeople are, in effect, representing two companies. To safeguard the reputations of both brands, sales representatives should not only be clean-cut and professionally dressed, but personable, respectful, and above all else, honest. The right retail sales representatives should also be able to operate within the culture and restrictions of the given retail space, easily adjusting to the expectations of the store manager and the retail brand at large. Does the sales team have a track record of success? It’s rarely a good idea to experiment with unproven retail sales strategies or hire a team without a credible history of positive results. Before choosing an outsourced sales partner, do your due diligence by learning about what the team has accomplished in the past and how they’ve gone about doing so. This is why so many Fortune 500 companies have chosen Cydcor, a company with a 24-year history of delivering quality sales with integrity. Fantastic! If you’d like to learn more about Cydcor’s retail sales solutions, visit https://www.cydcor.com/services.